OUR GREAT DANE PUPPIES have all gone to their new good homes! Next planned breeding: Soon! My beautiful Great Dane girl LIL BIT is now a proud mama to 10 beautiful babies – five males and five females. 2 harlequin males, five mantles: one boy and one girl with full collars, with 1 more male and 2 more females nicely marked! Babies are healthy, happy and LIL BIT is an excellent mother! Both parents are in excellent health, and pups will be sold with a health guarantee. This is a rare chance to own an exceptional bloodline. 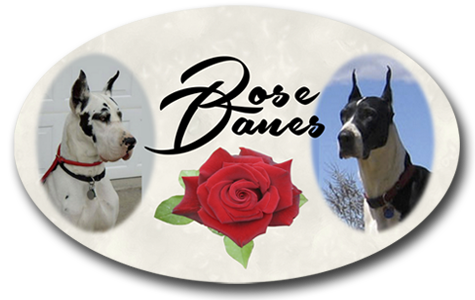 Champions in the Great Dane puppies’ bloodline include Bull Lea, AJ, Victoria’s Secret, Poker, Pockets and many more.